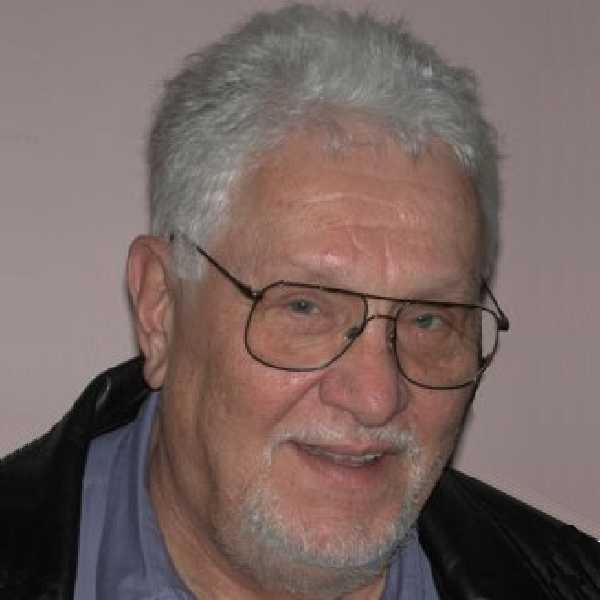 American cosmologist Victor J Stenger, author of Has Science Found God? 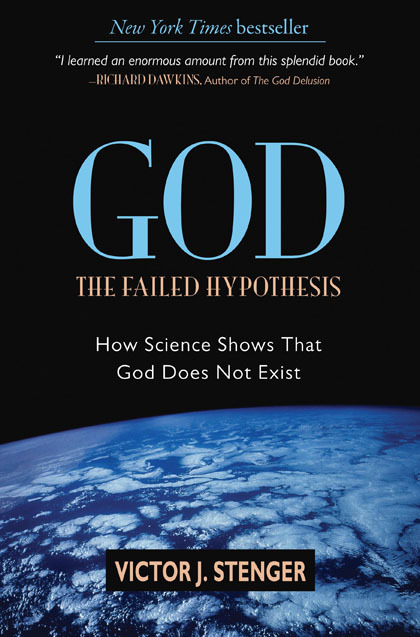 and God, the Failed Hypothesis debated the motion “Is there a God?” against Christian apologist William Lane Craig at the University of Hawaii in 2003. You can read my analysis of the debate on another post. The whole debate is available to download as an MP3 audio. I found a transcript of Stenger’s three main speeches, to which I have updated and revised for inaccuracies. No need to post Craig’s transcript. He doesn’t say anything you haven’t heard a million times before or since! Well, aloha. It’s certainly wonderful to be back in Hawaii where Phyllis and I spent so many happy years. Our children were both born in Hawaii, both graduated here from the University of Hawaii, and it’s certainly great to be back. In fact, it’s almost exactly forty years to the day that we first landed in Hawaii and this is the first time we’ve actually visited Hawaii in all that time. And so we’re here as tourists and now I can understand why so many people keep coming back to visit Hawaii. I would like to express thanks to Keli’i and the other organizers and the sponsors of this debate for inviting me. 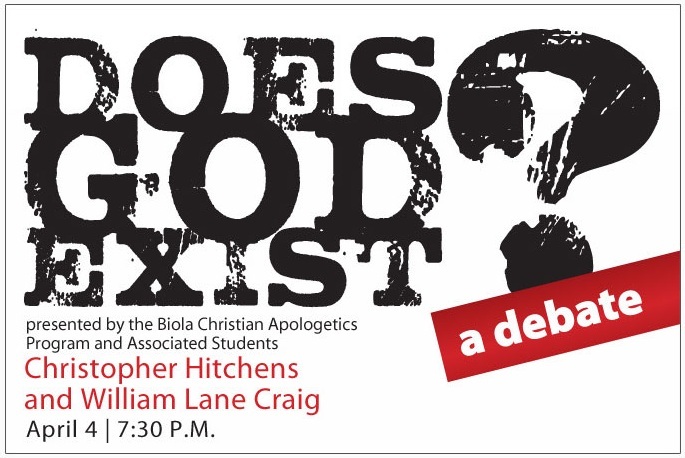 It’s certainly an honor to share the platform with William Lane Craig. I’ve read that he is one of the world’s foremost Christian apologists and he’s given ample evidence of that today. In his opening remarks, Dr Craig has appealed to your common sense. You know what common sense is. Common sense is the human faculty which tells us that the Earth is flat. On the other hand, objective observation tells us that the Earth is round. In tonight’s debate, I will argue that objective observation as well as reason and logic lead to the conclusion that a God with the traditional attributes of the Christian God does not exist beyond a shadow of a doubt. I will give four arguments to support my position. The attributes of the Christian God are self-contradictory. They are like a square circle. The attributes of the Christian God are inconsistent with what we know about the world. Supernatural explanations for events in the universe are unnecessary. Natural explanations are simpler, are based on objective observations, and are fully consistent with all we know about the world. The attributes of the Christian God imply actions that should be objectively observable. But they are not. God has not been detected. He is immaterial and transcendent. He is all-powerful, all-knowing, all-good. Furthermore, God is a person. He loves humans and wishes us to know him. He is forgiving and merciful. He speaks to humans, revealing truths to us that we would not otherwise know. He answers our prayers, as he sees fit. He performs miracles, violating natural laws. Perfect –v- Creator. If God is perfect, then he has no needs or wants. This is incompatible with the notion that God created the universe for some divine purpose. Divine purpose implies that God wants something he doesn’t already have, which makes him imperfect. Transcendent –v- Omnipresent. How can a God beyond space and time be at the same time everywhere within space and time at the same time? Just –v- Merciful. To be just means to treat a person exactly as they deserve. To be merciful means to treat a person better than they deserve. You can’t do both. Immaterial –v- Personal. To be a person is to have a material body, to have a brain, to have a mouth that you speak with and so on. So a God with these attributes and many of the other attributes traditionally assigned to him does not exist. The God of monotheism also has attributes that are inconsistent with what we know about the world. For example, an all-powerful, all-knowing God who also has the attribute of wanting all humans to know and love him is inconsistent with the fact that there are non-believers in the world. Perhaps the most ancient and strongest of the arguments for God’s non-existence is the problem of evil. An all-good, all-powerful, all-knowing God is simply inconsistent with the fact of evil and gratuitous suffering in the world. If the world was without any natural evil and suffering we wouldn’t have the opportunity… to show courage, patience and sympathy. Certainly, pain has a role in warning us of illness or injury. Is so much suffering necessary? But does God really need so much suffering to achieve his ends? Is there any good purpose behind so many children dying every day in the world of starvation and disease; perhaps one every few seconds? How are they helped by the rest of us becoming more sympathetic? Dr Craig and many other theologians have spent their lives building models of God that are logically consistent and at the same time in broad agreement with the traditional teachings of Christianity. This has mainly consisted in trimming God’s characteristics one by one until he is defined mostly in the negative: non-material, not in space or time, not seen or heard. Apologists have reduced God to an almost undetectable background: something like what we physicists used to call “the aether”, until we found that the aether doesn’t exist either. I have no doubt that a logically consistent picture of some kind of God can be devised and I never claimed to disprove the existence of every conceivable God, that’s why I’ve been very careful to focus on the God with the traditional attributes of Christianity and to certain extent the other monotheistic religions as well. While it’s possible to create a logically consistent God, I seriously doubt that this God can be made consistent with Christianity. In any case, these theologians and their logical consistent Gods remind me of the creators of computer games. Programmers invent whole new universes in which the characters have all kinds of superhuman powers and many of our familiar laws of physics are violated. Yet the rules these games are logically consistent. They wouldn’t run on a computer if they weren’t. But the computer game universes have little connection to the universe we see around us. They exist in what is called “virtual reality”. Just because something is logically consistent, it doesn’t necessarily follow that it exists. For the theologians’ logically consistent God to actually exist, he must have something to do with the observed universe; some attributes that can be objectively observed. Otherwise God is as useless as the aether. Even if a God can be devised who is consistent with logic and with observations, natural explanations for phenomena are still better than supernatural ones. They better explain the existence of non-believers. They also better explain the existence of believers. They explain the existence of evil and gratuitous suffering as the unfortunate results of evolution. They better explain the origin and structure of the universe of life, and mind. And these notions are based on objective observations and theories that are testable. Supernaturalism offers no explanation at all except “God did it”. And to say “God did it”, as Dr Craig does, passes on no more information than to say “Santa Claus did it” or “the Easter Bunny did it” – it could be any entity. Only seven percent of the members of the National Academy of Sciences believe in the personal God worshipped by perhaps 80 – 90 percent of other Americans. Most scientists don’t believe in God because they don’t see any objective evidence for him! When they look at the world around them, they see no sign of God. They don’t see God when they peer through their most powerful telescopes. They don’t detect God with their most sophisticated microscopes and other instruments. Furthermore, scientists find no need to introduce God or the supernatural in any form into any of their explanatory theories. Here are a few of the famous scientists who have been outspoken in their non-belief: Charles Darwin, Albert Einstein, Stephen Hawking, Richard Feynman, Stephen Jay Gould, Francis Crick; the co-discoverer of the structure of DNA, Steven Weinberg; perhaps the greatest living theoretical physicist, and the incomparable Carl Sagan. Let me add that none of these scientists would not believe if they were present with sufficient evidence. A God with the attributes I have listed implies phenomena that should have been easily observable by now. For example, let us consider three actions: revelation, prayers, and miracles. Let’s begin with revelation. Most people believe in a God who has a substantial and detectable role in the universe and in human affairs. One common characteristic attributed to this God is that he communicates with humans and provides them with verifiable new knowledge. The theistic religions have traditionally taught that God speaks to humanity. Their scriptures are widely assumed to be the word of God and he’s believed to have revealed knowledge to religious leaders in the past that they would otherwise not have known. Many believe that God still does this today, speaking even to the average person. Surprisingly, these claims can be easily verified­ if they are true. All we have to do is find some fact supposedly gained by divine revelation that was unknown at the time of the revelation, and then confirm this fact at a later time. For example, suppose the Bible had predicted that men would walk on the moon in two thousand years. Then we would have a rational basis to take seriously what else is written in the Bible. Unfortunately, we do not. No revelation of previously unknown knowledge has ever been empirically validated. The scriptures contain nothing that could not have been known to or imagined by the ancients who wrote them. The Bible reads exactly as we would expect it to read, based on existing knowledge at the time it was composed. Well, we’re still waiting. It was supposed to happen 2,000 years ago. It’s time to give up and move on. Those who have claimed to talk to God have provided no knowledge that was not already in their heads. Many people have claimed religious experiences in which they felt the presence of God, but they never return from those experiences with any exceptional knowledge that could easily verify their claim. What I’m saying is that there is a way that God can be detected, and this is one of them and has not been. Furthermore, religious experiences can be induced in the brain by drugs, electromagnetic pulses, and oxygen deprivation. For example, when pilots undergoing high-G training in a centrifuge, they will often experience a kind of tunneling of their vision, narrowing of their vision with the “light at the end of the tunnel” that is characteristic of the near-death experience that is supposed to happen with the religious significance. Does God choose to hide? You might say that God has chosen to hide himself from us. He certainly has – if he exists has – hidden himself from us. However, Saint Paul makes it very clear that even though God is invisible, his nature and diet have been clearly perceived in the things that have been made. In other words, God may be invisible, but his actions are visible. [Ever since the creation of the world his invisible nature, namely his eternal power and deity, have been clearly perceived in the things that have been made. In other words, God may be invisible but his actions are visible. Theists might respond that God’s actions are obvious to those who wish to see them. Well, I would love to see them, but they are not obvious to me, or to the millions of other non-believers in the world. Another commonly believed attribute of God is that he listens to entreaties from humans to change the natural course of events. He can be expected to grant a sufficient number of these requests so that the results should be observable. Otherwise, what’s the point in praying? Many people will testify that they’ve had prayers answered. But personal testimony is insufficient since it doesn’t rule out other more mundane, simpler, natural explanations. For example, if someone is ill and then recovers after praying, it could be that the prayers had nothing to do with it. After all, the body, sometimes with medical help, does a pretty good job of healing itself. In fact, it works every time except once – the last time. Convincing evidence for a God who answers prayers can, in principle, be scientifically demonstrated – it’s not impossible – with high probability if he really exists. Well-designed experiments on intercessory prayer should turn up solid, statistically significant results on the success of prayer in healing. In fact, some studies claiming positive effects of prayer have been published in refereed medical journals to great media hoopla. However, you can’t rely on media reports but need to look at the actual published papers. Applying the same criteria that are used in conventional science when testing extraordinary claims, you’ll find that none of the reported effects is significant. Furthermore, most of these experiments are severely flawed and none of the claimed positive effects have ever been successfully replicated. Perhaps the best study was done by the Mayo Clinic a few years ago. They studied some 800 patients over a period of half a year. The patients – they were coronary patients – were divided up into two groups, some prayed for, some not prayed for, and the results were no significant effect that would suggest that prayer had any good whatsoever. The traditional attributes of God are self-contradictory, so such a God cannot exist. The traditional attributes of God are incompatible with objective facts about the world. So such a God cannot exist. Natural explanations are superior to supernatural explanations. No basis exists for anything supernatural. The traditional attributes of God imply actions that should be objectively observed, but they’re not. It’s possible to hypothesize a God whose attributes are logically compatible with each other, but it does not follow that such a God exists unless he has objectively observable consequences. And as I said no consequences have been observed. So if God exists, where is he? I’m going to respond now mainly to Dr Craig’s opening remarks. However, I will add some further comments on what he has just said. Carl Sagan said: “Extraordinary claims require extraordinary evidence”. He probably wasn’t the first one to say that. Dr Craig has made the extraordinary claim that certain empirical facts require supernatural explanations. In order to refute that, all I need to do is provide plausible natural explanations for these phenomena. I need not prove these. If he wants to argue that God is required to exist in order to explain the observed universe, Dr Craig must disprove all possible, natural explanations for these phenomena. Let’s start with his cosmological argument. However, we know from physics that not everything that begins has a cause. Physical bodies begin to exist all the time without cause. Let’s consider radioactive decay of an atomic nucleus, the alpha particle or beta particle or gamma particle that are emitted in a radioactive decay, those particles coming into being, come into existence, begin to exist spontaneously, without a cause. The beginning of the Big Bang the universe was like a subatomic particle, so these ideas could apply. Again, I can’t prove it but I don’t have to prove it. Here is one example that refutes Dr Craig’s claim that everything that begins must have a cause. Is the Big Bang is evidence that the universe had a beginning? But even if everything that begins has a cause, this does not necessary apply to the universe if the universe did not have a beginning. Dr Craig argues that the Big Bang is evidence that the universe had a beginning. However, the universe need not have begun with the Big Bang. And I’m not just talking about this one particular speculation from my book. There are many prominent physicists and cosmologists who publish papers in reputable scientific journals proposing various scenarios by which the Big Bang appeared naturally out of a pre-existing universe that need not itself have had a beginning. One such recent example is the Cyclic Universe. Does an infinite universe have a beginning? Dr Craig also claims that the universe had to begin because if it were infinitely old, it would take an infinite time to reach the present. However, if the universe is infinitely old, then it had no beginning – not a beginning infinitely long ago. Furthermore, the universe can be finite – and I actually believe that the universe is finite – it can be finite and still not have a beginning. Einstein defined time as what you read on a clock. It’s a number, the number of ticks of the clock. We count time forward time: one, two, three, four, five ticks. We never reach infinitive time. We can also count time backward and never reach minus infinity. The notion that the universe had either a beginning or will have an end are theological notions, not scientific ones. Now, what about this fine-tuning argument? Again, it’s an argument that’s based on the low probability of our kind of life. And that not only means carbon-based life but also life with the existing physical laws as we know them. Even if the probability of a particular form of life was highly improbable to have occurred by natural process, some kind of life could still be highly probable. Probably not silicon – I agree that silicon is a poor candidate – but that’s with our existing laws of physics. Another form of life might still evolve in a universe with different physical laws or different physical constants. We simply don’t have the knowledge to rule that out. To say that there’s only possible form of life and only one possible set of laws of physics and only one possible set of constants is extremely narrow thinking and not at all required by anything that we know about science. In this argument and other arguments about the design in the universe, Dr Craig claims that the universe and life are too improbable to be solely natural. However, this is a fallacious argument. To use probability to decide between two alternatives requires a comparison of the probabilities of each alternative. Dr Craig claims that these natural probabilities are exceedingly low. But he hasn’t told us anything about what the supernatural probabilities are and yet it’s a comparison of these two that must be made. What’s the probability that the laws of nature are violated? What’s the probability that there’s an all-good, all-powerful, all-knowing but undetectable­ super-being behind all of this? Complex things are common. We see natural events every moment. We’ve never seen a supernatural event. Furthermore, low probability events happen every day. What’s the probability that my distinguished opponent exists? You have to calculate the probability that a particular sperm united with a particular egg, then multiply that by the probability that his parents met, and then repeat that calculation for his grandparents and all his ancestors going back to the beginning of life on Earth. Even if you stop the calculation with Adam and Eve, you are going to get a fantastically small number. Well, Dr Craig has a mind-reeling, incomprehensibly low probability – a priori probability – for existing. Yet here he is before us today. Modern versions of the argument from design – both the fine-tuning argument and the intelligent design argument – share this fatal flaw. They are based on the idea that natural causes can be ruled out by some arbitrary notion of low probability. Dr Craig also asks why is there “something” rather than “nothing”, why does the universe exist rather than “nothing”? Well, why should “nothing” be a more natural state than “something”? Why would you expect “nothing” rather than “something”? In fact, how could “nothing” even exist? If it existed, wouldn’t it be “something”? And finally, why is there God rather than “nothing”? Dr Craig doesn’t answer those questions. Dr Craig claims the Big Bang confirms the Biblical view of creation. But what does Genesis actually say? It says that Earth was created before the sun, moon and stars. This is at odds with modern cosmology which says that the Earth did not form until seven billion years after the Big Bang. There are many other disagreements. Genesis implies that the universe is only about 6,000 years old. Here’s a picture of a quasar. The light from this quasar left 12 billion years ago. Billions and billions of years before the Earth was even formed. Every one of the thousand or so religions in the world has a creation myth. Most of them probably resemble modern cosmology as well or better than Genesis. Here we are in Polynesia and some of the Polynesian myths are more closely resembling to the modern cosmology than Genesis. Dr Craig calls upon our common sense – our inner feelings – to attest that morality is objective and so must come from God. Not everyone shares the same morals. So, there is no evidence for objective morality. But, even if morality were objective, its source could be natural: an evolutionary process that aids in human survival and is built into our genes. I don’t see how Dr Craig has disproved that possibility. 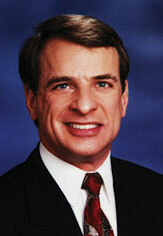 Dr Craig claims the Gospel stories describe actual historical events, such as the empty tomb. There is no evidence for this outside the Bible. The story of the empty tomb is second and third hand, written years after the event from the oral testimony of supposed eyewitnesses. Paul did not even know about it, yet Paul regarded the resurrection as very important, yet he didn’t know anything about the empty tomb. Furthermore, eyewitness testimony is notoriously unreliable. But even if the story of the empty tomb is accurate, you could have a simple, natural explanation. Dr Craig seems to think most scholars don’t believe, but I don’t see how they can know that. If you went to the Napoleon’s tomb in Paris one morning, and found that his remains were not in their usual place of honour, would you conclude Napoleon had risen bodily into heaven? Hardly. You would figure that somebody took the body! Dr Craig cannot prove that Jesus’ body could not have been removed by somebody. So that remains a more plausible, natural explanation and a supernatural explanation is not required by the data. On personal experience, Dr Craig says that a personal experience should tell us that God exists. However, that’s subjective and not everyone shares that experience. So plausible natural explanations exist for all phenomena in the universe and God is not required to explain the universe and so Dr Craig has not proved that God exists. Dr Craig believes in the God of the Gaps. That’s the God who is used as a substitute explanation for something that we don’t understand, until the time comes along that we do. Dr Craig cannot see how the universe came about naturally, so it must have come about supernaturally. He cannot see how the universe became orderly by natural processes, so order must have come about by supernatural processes. He cannot see how objective morality can come from humanity, so it must have come from God. He cannot see how Jesus’ tomb could have been empty, so he must have risen from the dead. And finally Dr Craig cannot see how his inner experience of God could be a simple physical brain process, so it must be a true experience of God. In each of these cases we can give a plausible, natural explanation that violates no known principles of science and requires no divine action. Dr Craig does not succeed in proving that these natural explanations are wrong; he tries to argue that they are implausible but in fact everything I’ve talked about is consistent with all the knowledge we have in science and is in perfect agreement with existing experimental and theoretical facts. So I don’t think Dr Craig succeeds in proving that God exists. But even if the goal of the debate were not proof, but simply arguing to the best explanation, Dr Craig fails: secular humanism or materialism is a better explanation than theism or supernaturalism. It’s simpler, more consistent with empirical observations. In fact, Dr Craig offers no explanations at all. It’s not an explanation for the order the universe to say, “God did it”. How did God do it? Where did God come from? All you do when you say that “God did it” is you push the explanation back one level; it doesn’t explain a thing. I’ve argued that a God with the attributes assumed by traditional theism can be proved not to exist if those attributes of course exist. You can play with the attributes. You can redefine God so that he doesn’t have all these attributes. For example, an all good God might not be all perfect or all powerful let’s say and then is not responsible for evil, doesn’t have control over evil. In fact, that was a line that was taken by Rabbi Kushner in his best-selling book When Bad Things Happen to Good People that God can’t help it – that bad things just happen. However, if you assume that God has the power to prevent evil then the fact that he doesn’t and evil still exists is clearly an inconsistency – a logically impossibility. A God who reveals knowledge about the universe that was not previously known could have been objectively verified. A God with such properties clearly does not exist. The God who answers prayers and performs miracles that can be objectively verified does not exist. I readily admit that I can’t disprove every conceivable God. But there’s no basis for believing in a God who does not produce objectively verifiable attributes. I’m sure that I’ve not convinced many of the believers in the audience; I certainly haven’t convinced Dr Craig. You’ll testify as Dr Craig does that you can feel the presence of God in your hearts. Now I’m sure you do. I understand that conviction. I was raised in a devout Catholic family and heard this conviction expressed by almost everybody around me. But as I grew up, I found that I could not share this faith. Despite the importance of religion to my family and friends, I could not believe in God because I saw no evidence that he existed. No one told me about humanism or atheism – I read no humanist or atheist books – I just found that the arguments and evidence that everybody continued to cite to me were unconvincing. Not knowing how all this came about doesn’t mean that it came from God, it just means that we don’t know how all this came about. And sincere personal testimonies of deeply held faith were not the sort of objective evidence that we have come to rely on in modern life. Indeed, I saw so many conflicting religious points of view all based on primitive, superstitious ideas that I knew that they couldn’t all be right. I decided most likely they were all wrong. Most scientists share my view. Are we being too sceptical? Are we being dogmatically unwilling to entertain the possibility of a personal creator God? I don’t think so. There are many examples in the history of science that demonstrate its willingness accept ideas that challenge conventional wisdom. But the data must require it. In the early twentieth century the theories of relativity and quantum mechanics revolutionised some our most basic concepts about the nature of reality. I think most scientists would be thrilled if evidence were founded for previously undetected materials and forces. Think of all the funding opportunities that would open up. I would come out of retirement. But even if that were to happen, I doubt that the world that was then being uncovered would bear any resemblance to the fantasies from the childhood of humanity that constitute traditional religious belief. People like what they see when they look in the mirror illuminated by the light of faith. It reflects an image of themselves as fallen angels who sit on this planet with divine purpose to rehabilitate themselves so they may rejoin their fellow angels in paradise. Unfortunately, the universe exposed to the light of science does not reveal a special place for humanity in the cosmos or any prospect for life after death. I would not honest if I tried to sugar coat those facts just because they conflict so dramatically with common yearnings. Saint Paul said, “When I was a child, I thought as a child, I understood as a child. But when I became a man, I put away childish things, for now we see through a glass darkly.” Humanity has moved beyond childhood. We no longer need to depend on imaginary friends for company or a mythical sky father to provide for our needs. We can take care of ourselves. We can find ways to live our lives that are consistent with the universe revealed to us by science. manicstreetpreacher analyses an occasion where for once William Lane Craig gets a proper pasting. I have referred to this debate countless times on my own blog and comments on other blogs that I thought it was high time I supplied all the links together with all my comments in one post. Opinions among the commenters at Debunking Christianity and on YouTube are divided, but personally, I think for once Craig received an absolute flogging! Stenger may not be a great showman, but what he lacks in flare, he more than adequately makes up for in authority and clarity. William Lane Craig ought to be easy to beat in a debate since he uses exactly the same arguments every time, but frustratingly he is not. This is due in part to many of his opponents failing to research his arguments and tactics properly, but also because Craig has a range of dirty tricks up his sleeve. One of such dirty trick is to shift the burden of proof onto his opponent when he is the one making the positive claims. However, Stenger skilfully refutes every single one of Craig’s lame “arguments” and presents positive reasons for non-belief over and above mere the absence of evidence for God. Craig fails to respond to three quarters of Stenger’s opening address: the failures of revelation, the ineffectiveness of prayer, the existence of non-believers, and the absence of special knowledge in the Bible. Stenger even trashes him in areas that one would think would not his forte, such biblical scholarship. In his first rebuttal Craig actually agrees with Stenger that naturalistic explanations are preferable to supernatural explanations, but then argues that when naturalism falls short, we have no alternative but to resort to a supernatural explanation. Stenger runs so many rings around Craig that this is the only debate where I have not heard Craig finish his closing statement by preaching to the audience how JC changed his life forever and that they should try reading the New Testament as well. Make sure you listen to the tape all the way through to the Q & A after closing statements because Stenger even manages to steamroller Craig on his biblical scholarship thus: “Dr Craig continually talks about ‘majorities of scholars’. I don’t know where he takes these polls. Does he take them at Bob Jones University? !” Genius! 32 minutes Stenger demonstrates philosophically that the mere existence of the universe is evidence against God! 38 minutes Stenger points out that saying “God did it” is about as useful as saying “Santa Claus did it”. 39 minutes Stenger sticks two fingers up to NOMA by informing us that the world’s greatest scientists do not see God with their telescopes, microscopes and other powerful instruments. 42 minutes Stenger points out that we’ve waited too long for JC’s Second Coming and it just ain’t gonna happen. 46 minutes Stenger cites the failed double-blind prayer experiments and imagines an alternative universe where doctors prescribe “prayer aspirin”. 68 minutes Stenger rubbishes Craig’s argument from improbability by asking what is the probability of God and then showing that every person’s very existence is stupendously improbable without requiring any supernatural aid. 70 minutes Stenger asks why we would automatically expect “nothing” rather than “something” if God does not exist and why there is God rather than nothing. 71 minutes Stenger puts paid the notion that modern cosmology confirms Genesis (!). 102 minutes Stenger exposes Craig’s “arguments” as nothing more than gap theology. 108 minutes Stenger would come out of retirement at the prospect of the all the funding opportunities that scientists would be presented with if evidence of a personal creator God were discovered. 110 minutes Stenger movingly shows up Craig’s rancid theodicy for what it is by saying that he would gladly accept eternal punishment if he could stop the suffering of a child dying in agony of leukaemia if he had the power. So why won’t God? 114 minutes Stenger floors Craig on his argument from “the universal opinion of modern scholarship”. 122 minutes Stenger wonders how the hell Craig can possibly know what he has just said! 143 minutes Stenger quotes the Good Book to show that God admits that he is the cause of evil (Isaiah 45: 7). Further along Craig appeals to “context” and “translation” to show that the passage should not be taken literally. The King James Version is not the inerrant edition of the Bible, I take it? Biblical scholarship FAIL! 152 minutes Stenger tells Craig that most of the evil and suffering in the world most certainly does not come from humans. And child torture and the Holocaust are wrong. With or without God. Finally! One of Craig’s opponents who actually did his homework, which alas Christopher Hitchens did not. Why, I do not know. Hitchens bangs on about how great Stenger’s God, The Failed Hypothesis is and even wrote the foreword for the paperback edition. He ought to have re-read it in preparation for meeting Craig, since Stenger demolishes Craig’s arguments within its pages! 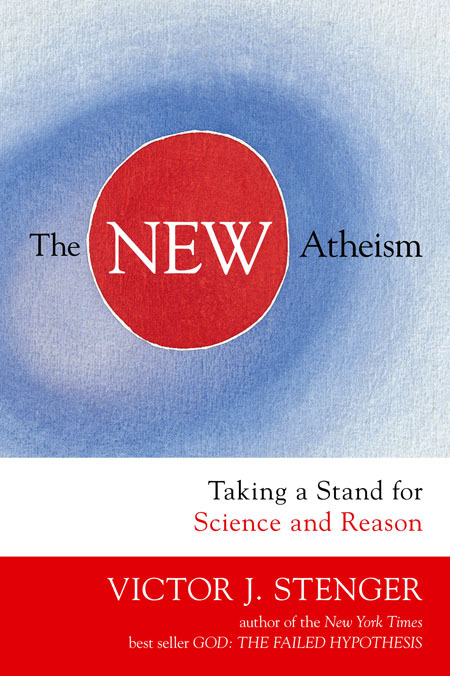 Stenger has recently published a booked called The New Atheism: Taking a Stand for Science and Reason where he summarises the arguments of Dawkins, Dennett, Harris and Hitchens and his own in the God debate as well as the often underhanded attempts by religious apologists to refute them, such as misrepresenting what they actually say and quote-mining prominent atheist scientists to give the impression that they support theism. I haven’t read Stenger’s new book for myself, but I’d recommend this recent lecture where he comments that he refuted Craig’s cosmological argument during their live debate on the basis that Stephen Hawking in A Brief History of Time recanted his and Roger Penrose’s earlier thesis and now state that the universe did not begin with a singularity known as the “Big Bang”. According to Stenger, Craig is clearly “lying” to his scientifically ignorant audiences by continuing to use the Kalam Cosmological Argument. In years gone by Craig has been non-committal about his belief in the truth of Darwinian evolution. In his 2007 debate in London against British embryologist Lewis Wolpert, author of Six Impossible Things Before Breakfast: The Evolutionary Origins of Belief, Craig stated that he neither believed nor disbelieved in evolution, but reserved his opinion on the grounds that the evolution of Homo sapiens may have been so “improbable” that there simply isn’t enough time for the process to be completed before the sun burnt out. As Wolpert pointed out at the time, this is complete nonsense. However, in the last year or so Craig has hardened his scepticism towards evolution and has turned around its plausibility as only he knows how. During his debate against Christopher Hitchens at Biola University in April, Craig cited John Barrow and Frank Tipler’s The Anthropic Cosmological Principle stating that there were ten stages in human evolution each of which were so “improbable” (!) that the amount of time required to complete the process would be so great that our sun would have ceased to become a main sequence star and exploded into a red giant. 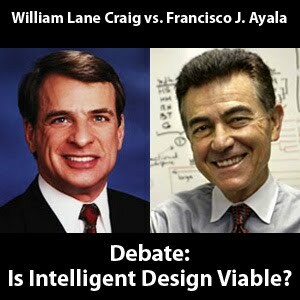 Since then, Craig has become what he claims a tentative advocate of Intelligent Design “Theory” and debated theistic evolutionary scientist Francisco Ayala at Indiana University on 5 November 2009. Contrary to the fawning opinions of certain Craigophilies, Ayala did reasonably well against Craig. I’m not going to review that debate as well but Ayala is a lecturer, not a debater. And besides, Craig did his job for him by using fallacious reasoning by arguing that end products of unguided genetic mutations are too improbable and therefore an invisible, undetectable, unknowable designer is a rational alternative. However, this is a fallacious argument. To use probability to decide between two alternatives requires a comparison of the probabilities of each alternative. Dr Craig claims that these natural probabilities are exceeding low. But he hasn’t told us anything about what the supernatural probabilities are and yet it’s a comparison of these two that must be made. My point is that Craig has been told that his arguments from fine-tuning and improbability are fallacious on many occasions. Outright dishonesty – in effect, “telling lies for God” – is the only inference to the best explanation we can draw in respect of his pronouncements.